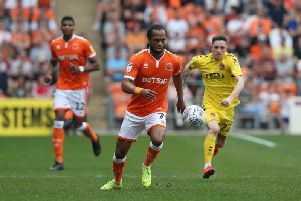 Blackpool Supporters’ Trust believes our football club is on the verge of tremendous change, a once-in-a-generation opportunity for a fresh start. It is not just about bringing in new owners, it is also the cue to do so many things differently and better. As fans, of course we want to be proud of Blackpool FC again and the recovery will take a while. However, if there is an obvious blueprint for the future direction and if supporters are part of the process of change, there will be a huge amount of goodwill and there is every reason why the club can progress again – only this time on a more secure foundation in terms of its sustainability and its central role in the community. BST considers it not only appropriate but necessary that fans should voice a wish-list for their model of a well-run club, a template for how Blackpool FC (and by extension other clubs) might function in the future. For the good of the beautiful game it is vital we seek to curb cynical and exploitative practices and reaffirm the importance of supporters at the heart of football. Therefore in this and next week’s columns, BST is publishing its draft manifesto – a set of principles the Trust would like to see implemented at Blackpool FC. This manifesto has been shared with Trust members for their feedback and approval. It is important that anyone having a formal stake in Blackpool FC, as owner, share-holder or director, should voluntarily adhere to self-imposed standards of ethical business practice with regard to their custodianship of the club as a social enterprise. We would like to see statutory changes in football governance for all English League clubs, with owners and directors required to pass externally administered checks. We advocate extending the scope of the Owners and Directors Test to include, subject to right of appeal: any criminal convictions, any disqualification as a company director, any bankruptcy event, any material or persistent breaches of specified League or FA rules. We believe that the purchase of shares in Blackpool FC by BST on behalf of the fans through a community share option is achievable. There should be an agreed and appropriate ratio of investment and profit to income. Borrowing should be permissible only from FC-regulated lenders. Loans must be unsecured unless funding new capital expenditure. There should be an absolute prohibition on owners holding security over club assets and on owners pledging their shares in the club as security. Under Premier League and EFL Financial Fair Play regulations, ‘secure funding’ must be equity. Realistic caps should be imposed on withdrawals as salaries, fees, dividends or interest, with a prohibition on loans to connected companies or related parties. Complete transparency is required whereby all dealings are fully disclosed on the club website in real time, not retrospectively, and there should be meaningful sanctions for disguised withdrawals or failure to make full disclosure. We support the national initiative to create an independent licensing body to ensure owners and directors observe basic standards of good stewardship, including structured dialogue, respect for club heritage and community obligations. The ‘regulatory body’ would rate clubs and require clubs with poor ratings to address failings. Clubs with poor ratings would be put ‘on report’ and failure to take remedial action could result in sanctions against owners. It is stating the obvious but we want players who take pride in the famous tangerine shirts, players with drive who want to win and who we can connect with. That spirit has been missing for much of the last few seasons but glimpsed occasionally in this squad. We want a manager who favours adventurous football and can get the best out of his players, supported by forward-looking coaching and fitness staff and a good scouting network – all on a reasonable budget that adequately reflects the club’s aspirations, which might require flexibility in transfer policy if/when we reach higher division. Performance on the field will be crucial to rebuilding the fan base and momentum. Goals should be set for getting promoted back into the Championship through competitive but entertaining football. Blackpool should aim to become a club that managers and players want to come to because of its ambition.